The Ashland Lions are a part of Lions International. Our 46,000 clubs and 1.35 million members make us the world's largest service club organization. We're also one of the most effective. Our members do whatever is needed to help their local communities. Everywhere we work, we make friends. With children who need eyeglasses, with seniors who don’t have enough to eat and with people we may never meet. In 2012 the Ashland Lions celebrated their 45th year of service to our community. 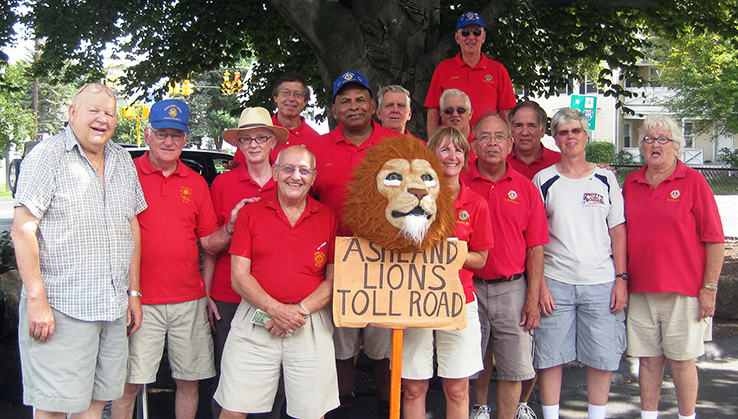 Since 1967, the members of the Ashland Lions Club have been supporting the goals of Mass. Lions Eye Research Fund Inc. and Lions Clubs International to eliminate blindness and give the “Gift of Sight” to those with curable and reversible blindness on state, national and international levels. The Ashland Lions also support many programs in the Ashland community for the betterment of the community and to help the less fortunate.